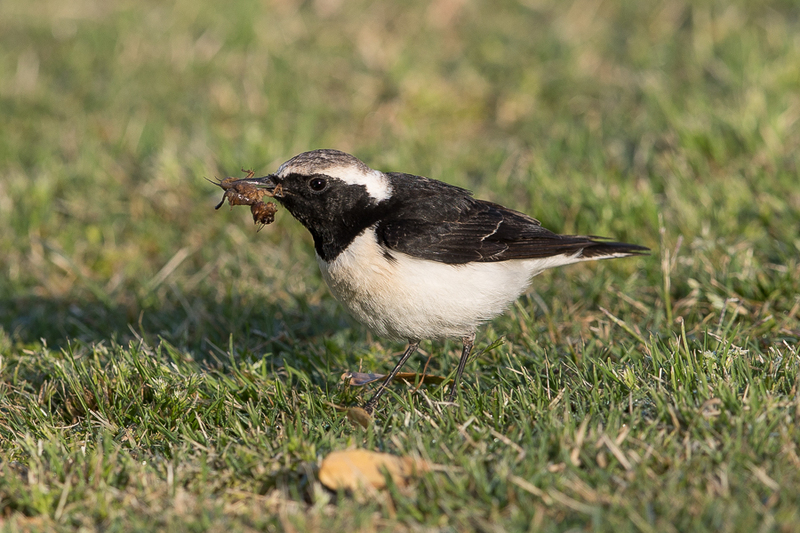 Whilst birding Deffi Park recently I came across a Pied Wheatear eating a Mole Cricket. The insect is from the family Gryllotalpidae measuring 3-5 cm long and as it is nocturnal, so they are seldom seen. 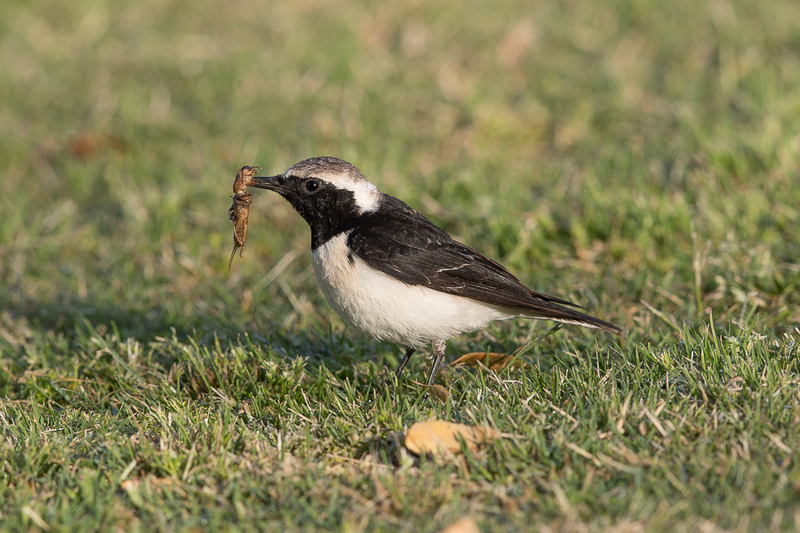 This one was found by the Wheatear in the very early morning on a grass field. The scientific name derives from the Latin 'gryllus' meaning cricket and 'talpa', mole, and refers to its similarity to a mole in both looks and subterranean habits. The body is brown in colour and covered with fine velvety hairs, and the forelegs are greatly modified for digging with hands like a mole. Adults and nymphs can be found throughout the year in extensive tunnel systems that may reach a depth of over one metre. They occur throughout Europe, except Norway and Finland, through the Middle East to western Asia and North Africa. 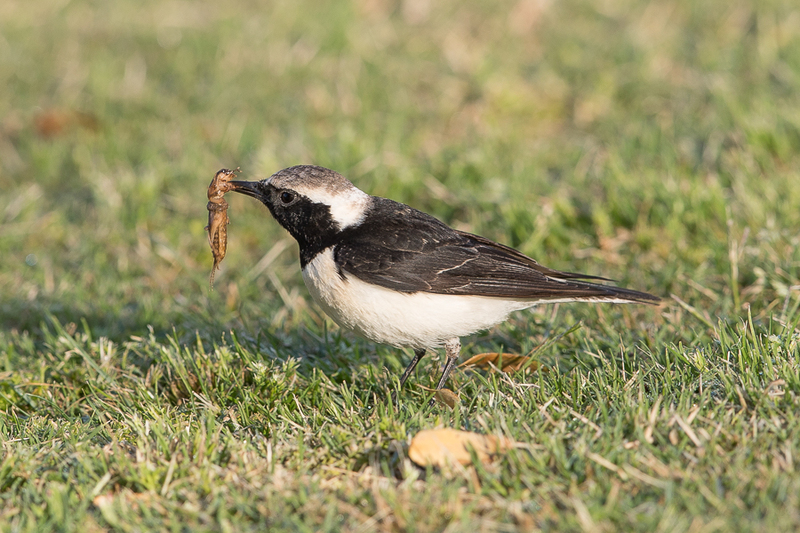 Pied Wheatear Oenanthe pleschanka is a common spring migrant that is less common in autumn. 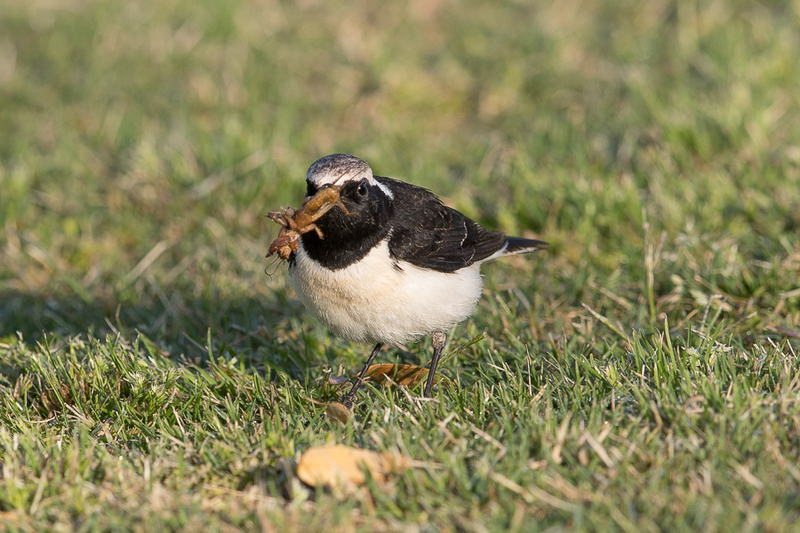 Most years birds are recorded in spring between early February and Mid-May, peaking in March and in autumn from late August to mid-November commonest in second half of September.